Please note that the content of this book primarily consists of articles available from Wikipedia or other free sources online. Eiji Band (born April 5, 1940) is a Japanese television entertainer and former baseball player. He pitched many innings in his high school career. 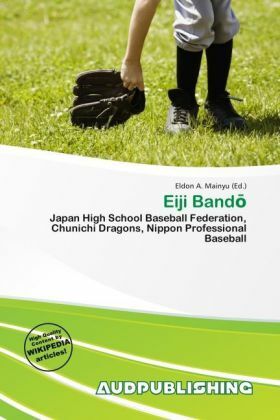 The Japan High School Baseball Federation were afraid that hewould injured his arm, so they set a new rematch rule in 1958. However, he pitched 18 innings in a 1958 quarterfinal game, which resulted in the first rematch in the National High School Baseball Championship. He reached the final, but didn't win.